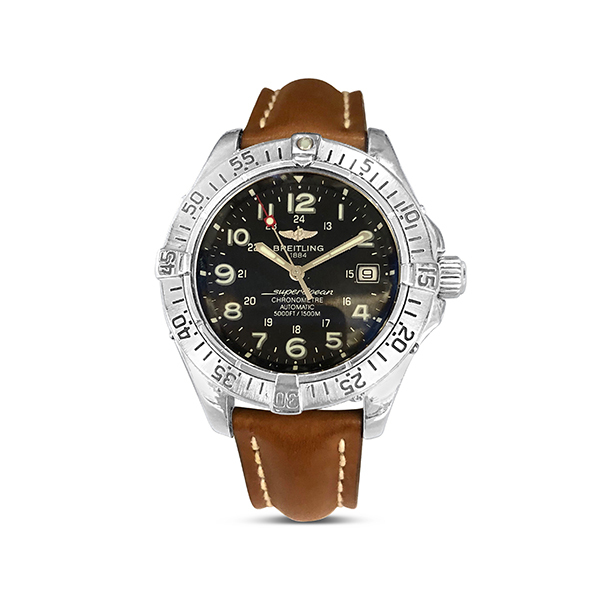 Stainless steel Breitling Superocean watch with black dial and leather band. This impressive watch comes with the original box. Reference number: A17360. Serial number: 8795XX.